Dahurian angelica root release the exterior, dissipate cold, dispel wind to relieve pain, relieve the stuffy nose, dry dampness to check vaginal discharge, disperse swelling and drain pus. Traditionally, dahurian angelica root is used to treat exterior cold pattern, various pain, allergic rhinitis, vaginal discharge, abscess and sore etc. Dahurian angelica root mildly release the exterior and dissipate cold. Especially good at relieve pain, relieve the stuffy nose. Often used in exterior cold pattern, headache, Nasal congestion. Dahurian angelica root enter Leg Yang Ming Stomach Meridian, used for yang-ming headache (front head) and swollen gums. Dahurian angelica root solely use for exterior cold pattern yang-ming headache or matching with divaricate saposhnikovia root, manchurian wildginger root, szechwan lovage rhizome, such as “chuan xiong cha tiao san”. For relieve toothache often used in combination with gypsum, fineleaf schizonepeta spike etc. Matching with atractylodes rhizome and kusnezoff monkshood mother root for joint pain in rheumatic or rheumatoid arthritis, immobilized limbs. Dahurian angelica root can dispel wind, dissipate cold and dry dampness. Used for headache, particularly pain in supra-orbital ridge; stuffy nose and sinusitis. 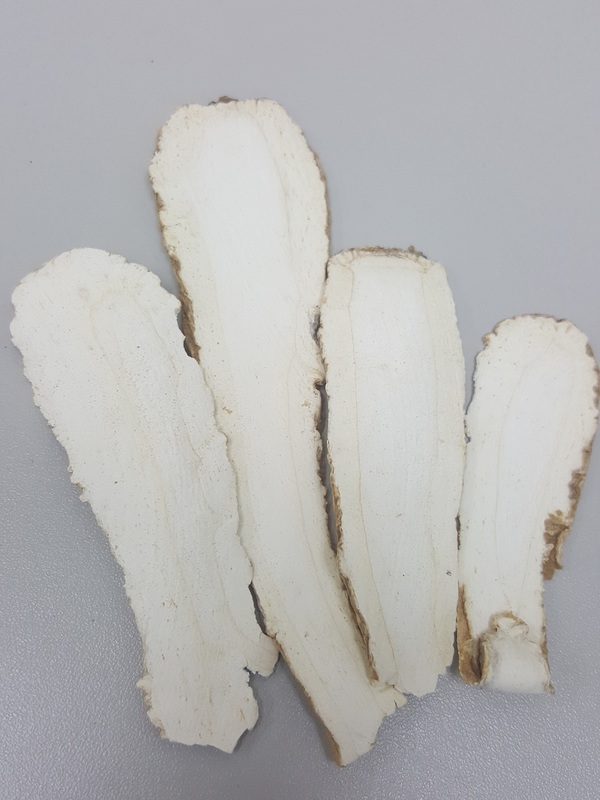 Dahurian angelica root often used in combination with degelatined deer-horn, common yam rhizome, plantain seed and Chinese cork-tree cortex for treatment of excessive leukorrhea. Use together with Japanese honeysuckle flower, Chinese angelica for disperse abscesses and nodules. Matching with tonifying and replenishing medicinal such as ginseng, milkvetch root to outthrusts toxin and expels pus. Dahurian angelica root can also use for skin itching caused by wind-dampness evil.